Should You Avoid VeriFone Systems Inc (PAY)? VeriFone Systems Inc (NYSE:PAY) investors should pay attention to a decrease in hedge fund sentiment of late. There were 24 hedge funds in our database with PAY positions at the end of the previous quarter. 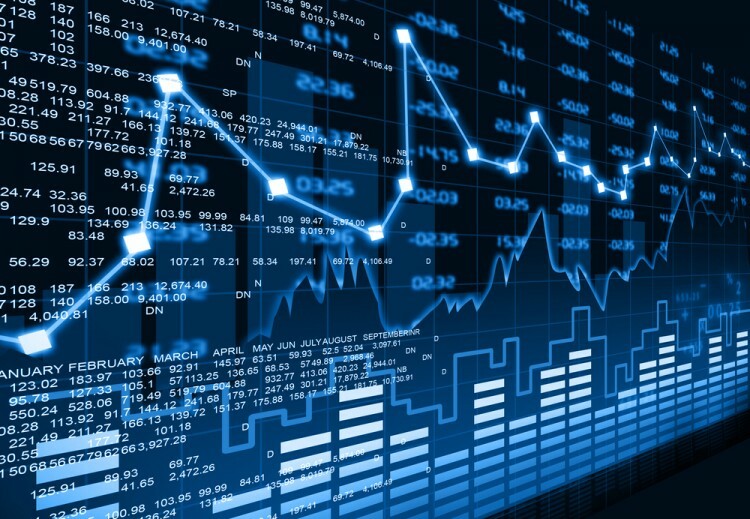 At the end of this article we will also compare PAY to other stocks including ABM Industries, Inc. (NYSE:ABM), Entegris Inc (NASDAQ:ENTG), and Platform Specialty Products Corp (NYSE:PAH) to get a better sense of its popularity. How have hedgies been trading VeriFone Systems Inc (NYSE:PAY)? Heading into the fourth quarter of 2016, a total of 19 of the hedge funds tracked by Insider Monkey were bullish on this stock, a fall of 21% from one quarter earlier. 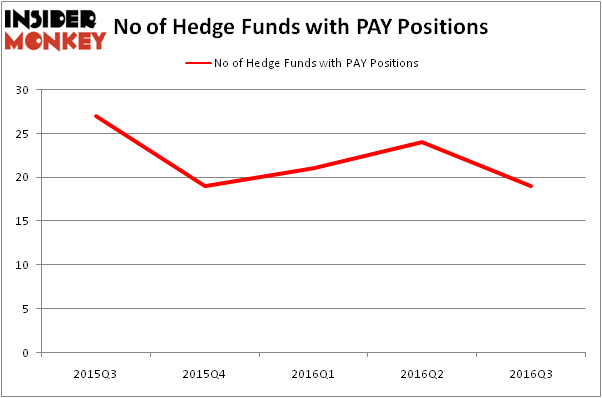 The graph below displays the number of hedge funds with bullish position in PAY over the last 5 quarters. With hedgies’ sentiment swirling, there exists a few noteworthy hedge fund managers who were increasing their holdings substantially (or already accumulated large positions). When looking at the institutional investors followed by Insider Monkey, Citadel Investment Group, led by Ken Griffin, holds the most valuable position in VeriFone Systems Inc (NYSE:PAY). Citadel Investment Group has a $24.5 million position in the stock. Coming in second is Cove Street Capital, led by Jeffrey Bronchick, which holds a $24.2 million position; the fund has 2.6% of its 13F portfolio invested in the stock. Remaining members of the smart money with similar optimism comprise Israel Englander’s Millennium Management, Steven Boyd’s Armistice Capital and Alexander Roepers’s Atlantic Investment Management. We should note that none of these hedge funds are among our list of the 100 best performing hedge funds which is based on the performance of their 13F long positions in non-microcap stocks. Has Hedge Fund Ownership in Welltower Inc. (HCN) Finally Bottomed Out? How Big Lots, Inc. (BIG) Stacks Up To Its Peers Infosys Ltd ADR (INFY): Are Hedge Funds Right About This Stock? Is WebMD Health Corp. (WBMD) A Good Stock To Buy? Biotech Movers: Heat Biologics Inc (HTBX) And Achaogen Inc (AKAO) Should You Buy BJ’s Restaurants, Inc. (BJRI)?